In honor of Black History Month, the CYC blog is highlighting pioneers in education from the African American community. Each week of February we will highlight a new figure who helped shape the course of education in America. 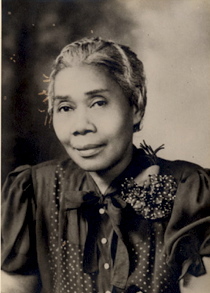 Fannie C. Williams served as the principal of the Valena C. Jones Elementary and Normal School in New Orleans. The school was one of the largest in the city at the time with over 2,800 students enrolled in the school in 1930. During her 33 years in that position she guided future African American to earn their teaching certification and developed a professional development program so that they could earn advanced degrees. Many of the teachers she helped went on to become principals, supervisors, librarians and education consultants. During the early years of the Great Depression, she helped to establish both a nursery and kindergarten program for African-American children, the first of its kind in the Orleans Parish school district and in the state of Louisiana. Ms. Williams also founded a Child Health Day so that every May 1st, doctors, dentists and nurses from the city’s 7th Ward could provide medical attention and services to her students for free. She also provided milk and hot lunches for students even though she earned an annual salary of $225. 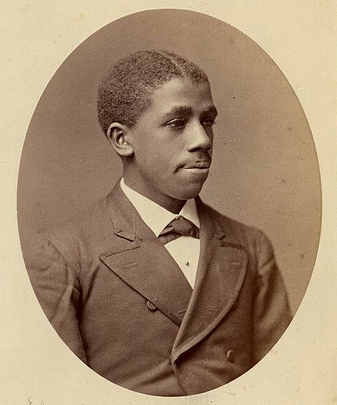 Portrait of Edward Alexander Bouchet, Yale College class of 1874, the first African-American to graduate from Yale College. Courtesy of the Yale University Manuscripts & Archives Digital Images Database. In 1874, Edward Alexander Bouchet graduated from Yale University with his bachelor's degree. Two years later, he walked the stage to receive an advanced degree making him the first African American to earn a doctorate degree in the United States, and one of only 20 people in the United States with a Ph. D in physics. Despite his academic accomplishments, Dr. Bouchet was denied a college professorship due to his race. Instead, he took a job teaching Chemistry and Physics at the School for Colored Youth in Philadelphia, where he stayed for 25 years. At the time, it was one of the few schools in the United States that offered African American students access to such an academic program. He resigned during in 1902 during the W.E.B. Du Bois – Booker T. Washington feud over whether schools should offer collegiate or industrial options for African American students. Though Dr. Bouchet’s protested, his school opted to only offer vocational training. He continued to instruct in various schools across the country and made a number of contributions to physics. Despite his success, his work was not acknowledged or celebrated until after his death in 1918.  The Edward Bouchet Abdus Salam Institute was founded in 1988 by Nobel Laureate, Professor Abdus Salam. The institute promotes collaboration between African and American physicists and promotes the training of African physicists. In 2005, Yale joined with Howard University to found the Edward A. Bouchet Graduate Honor Society. Yale also established the Bouchet Leadership Award which promotes diversity in higher education. 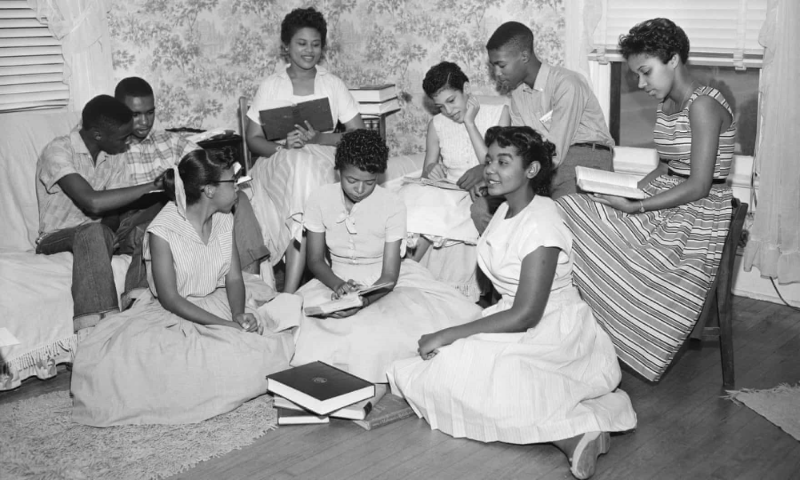 During the summer of 1957, nine African American students enrolled in Little Rock Central High School, becoming the primary figures in the struggle for desegregation in public schools across America. Despite the Supreme Court’s 1954 ruling in Brown v. Board of Education which declared the segregation of schools to be unconstitutional, many states, counties and municipalities across the United States openly refused to comply. The Little Rock Board of Education warned the students not to attend the first day of school due to threats of violence. When the students showed up they were met by a mob of adults throwing stones and shouting death threats. Even the Governor of Arkansas, Orval Eugene Faubus ordered 270 members of the Arkansas National Guard to block the entrance of the school from the nine black students. The confrontation drew both national and international attention to racism and racial inequality in the United States. For a period of 18 days the students remained home as President Dwight D. Eisenhower, Governor Faubus, and Little Rock Mayor Woodrow Mann discussed the situation. The students returned to the high school on September 23rd and attempted to enter the school through a side entrance but were violently attacked and again forced to leave. By the time the Little Rock Nine returned to campus on the 25th of September, President Eisenhower had deployed the 101st Airborne and placed the entire Arkansas National Guard under federal command. Throughout their time at Little Rock Central High School the Little Rock Nine faced regular verbal and physical assault by their white. They continued to persevere and in 1958 Earnest Green became the first African American student to graduate from the school. That same year, Governor Faubus was re-elected and rather than allow integration to continue, he closed all public schools in Little Rock with many other schools districts in the South following the governor’s lead. A fully desegregated Little Rock Central High School would not re-open until 1960 and efforts to desegregate both education and society continued across the United States through the 1960s and 1970’s with some school districts in the South continuing to fight desegregation to present day.